Reel Festivals 2011 was our most ambitious event to date and aimed to host events in Syria, Lebanon and Scotland, focusing on cultural exchange and interaction. Unfortunately due to developing events in Syria we had to postpone events there. Instead we focused our programme of events in Lebanon and Scotland both of which featured Syrian elements alongside Scottish and Lebanese films, music and poetry. 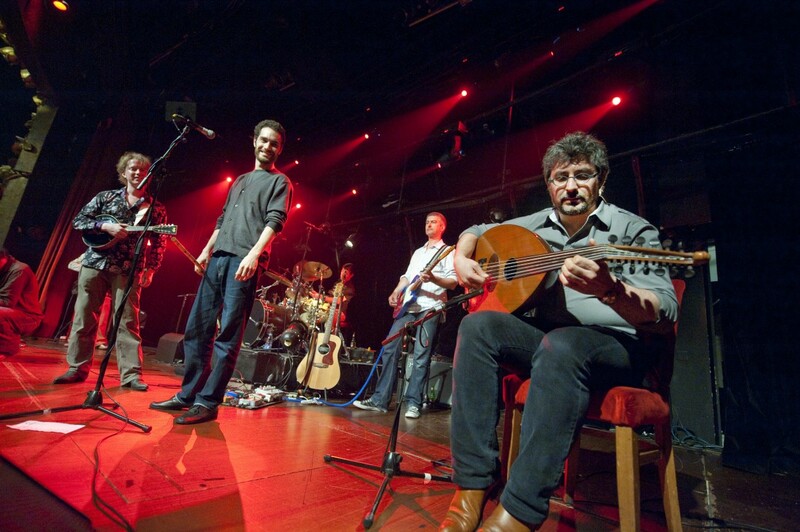 Scottish band Shooglenifty came to Beirut for 4 days as part of Reel Festivals 2011 and performed alongside Lebanese musicians in Beirut’s legendary Music Hall on the weekend. Art & music legend Bill Drummond worked alongside Lebanese graffiti artist Siska to spread Bill Drummond’s mantra ‘Imagine Waking up tomorrow and all Music had Disappeared’. Lebanese, Syrian and Scottish poets performed new translations of each others work to rapt audiences. In Lebanon, Scottish film-makers had audiences spell bound, with The Wicker Man making Time Out Beirut’s classic ‘film of the month’ and Amy Hardie and Lou McLoughlan leading excellent Q & A sessions. In Scotland we saw packed audiences for our Syrian and Lebanese screenings, particularly those with directors present. Hady Zaccak from Lebanon presented A History Lesson and Syrian directors Reem Ali and Soudade Kaadan both screened their films to great success. We’re very pleased to have commissioned three new documentary films by Scottish Iranian film maker and musician Roxana Vilk. Additional Edinburgh musician and producer Dolphin Boy created this piece titled ‘Ghazi’ taking samples from the streets of Beirut and old licks from the Lebanese songbook.